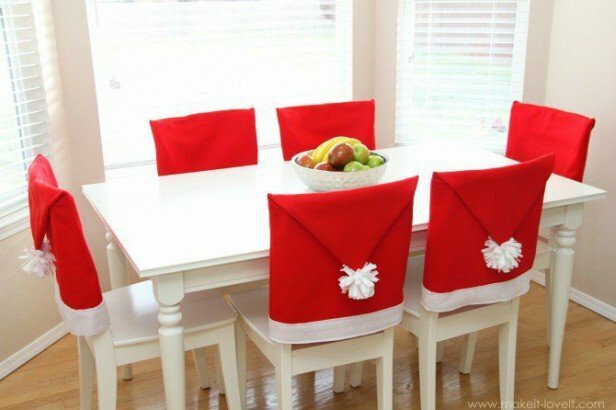 Get prepared for Christmas with these adorable Santa Hat Chair Cover and More Santa Table setting ideas, we included the Santa Hat Chair Covers, Table Covers, Napkin as well as Santa centerpiece! They really add a special touch to holiday home decoration. 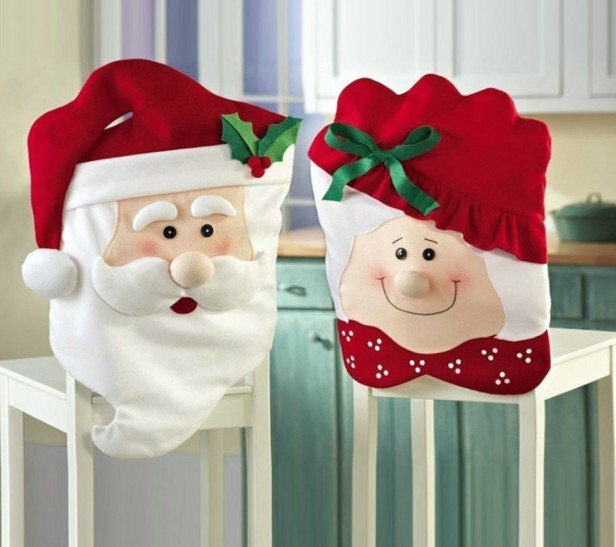 We also have a wide collection of Santa projects on our site, the Santa Claus Sewing Patterns and Ideas is just one of my favorite for Christmas decoration, and if you love to sew, you can click the link through. And Check out the Christmas napkin folding ideas with tutorials at the bottom. For this sew project, we need to measure the width of the chair, get the Christmas Red fabric, velvet or felt are perfect choice. 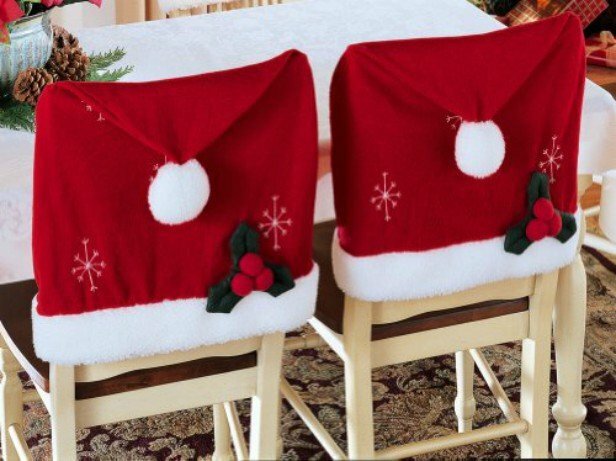 This Santa’s hat chair covers are an easy, fun and lighthearted way to dress up chairs and delight guests for the coming holiday. Add white felt along the cover opening and pompom at the top of hat, it’s quite easy and quick to sew. 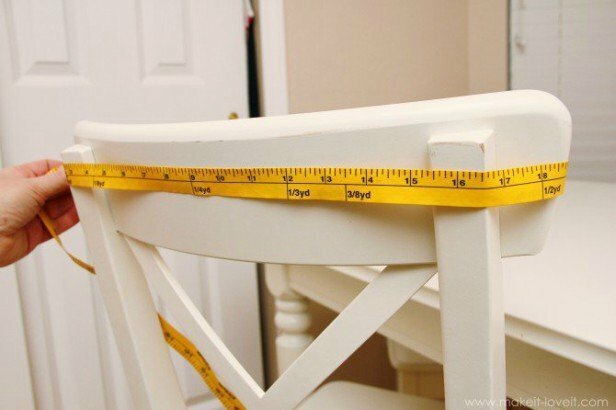 Measure the right size and sew or hot glue for this project. 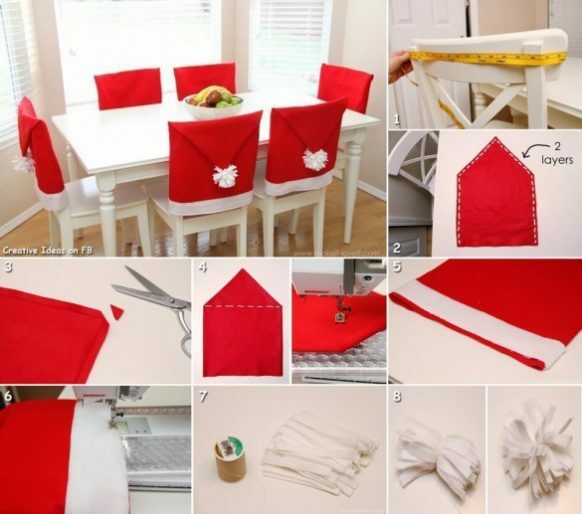 You can check out the detailed tutorial to make your festive home decoration here: Makeitloveit -Santa Hat Chair Covers. Here is a video tutorial by StyleNovice. 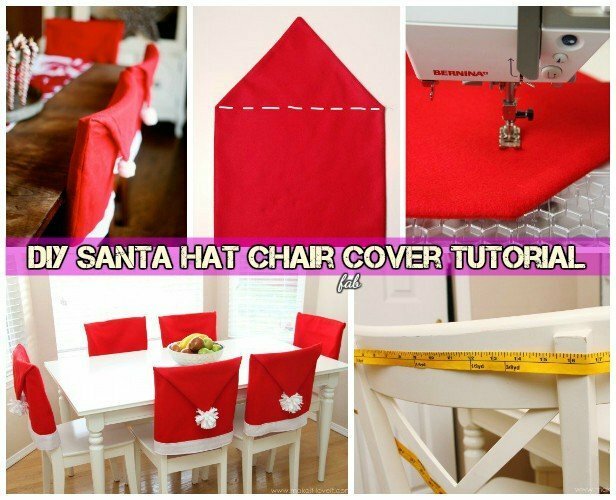 If you know how to sew Santa, challenge your self to make this Santa chair cover, you can google some Santa patterns, they are just super adorable to add Christmas spirit into dinning room.